Under FSMA the requirements for preventive controls, full documentation, record keeping, monitoring, verification and validation for Food Safety are now the law. If you are looking to develop a simple and easy to implement, and compliant food safety plan. FSPC systems.com is your solution. 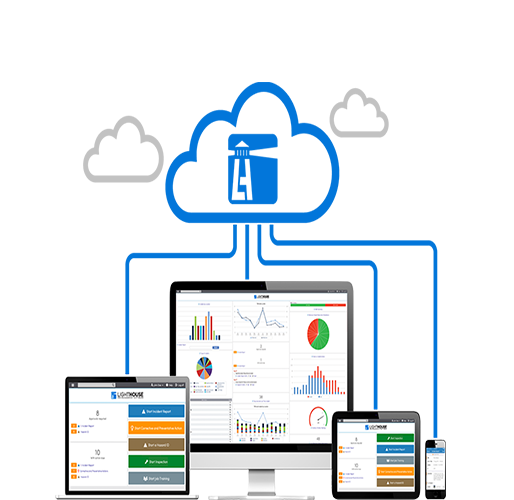 Our affordable and scalable cloud based food safety plan development and implementation software makes creating and maintaining a custom, compliant FSMA plan a readily achievable goal. Assess facility preparedness and identify issues in a cost effectively and a timely fashion. Build your plan in 12 easy steps. Simply fill in the steps and you’re on your way! Use our library of pre-loaded and editable documents to give you a head start on creating documents (SOP’S/SSOP’S/GMP’S) need for a compliant plan. Identify significant Critical Control Points and Critical Limits and implement the preventative controls needed to produce safe food products. All checklists and logs can be assigned electronically and completed on any tablet or smart phones with internet access. Integrated Corrective Action Reports allow users to track issues until they are resolved . Whether you are in the office or on the production room floor, our responsive design allows you to do your daily tasks using a variety of options. Be it smart, phone , tablet, laptop or desktop our designs are simple, intuitive and user friendly, requiring little or no training before use. For the first time the FDA has a legislative mandate to require comprehensive, preventive-based controls across the food supply chain. Preventive controls include steps that a food facility would take to prevent or significantly minimize the likelihood of problems occurring. The new law improves the ability for FDA inspection agents to achieve greater oversight of the millions of food products coming into the United States from other countries each year.